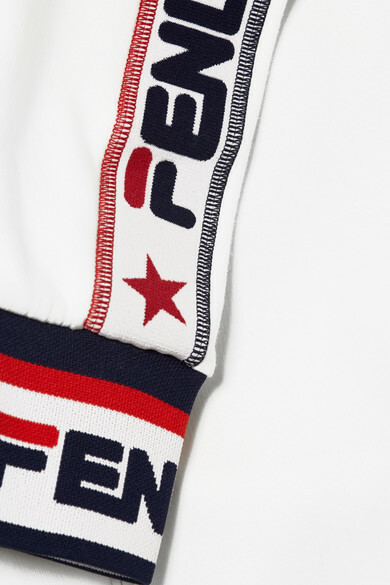 Silvia Venturini Fendi was fond of FILA's tennis shirts as a child, and when she saw Instagram artist @hey_reilly's mashup of Fendi's logo with the sportswear label's, she knew she wanted to collaborate. 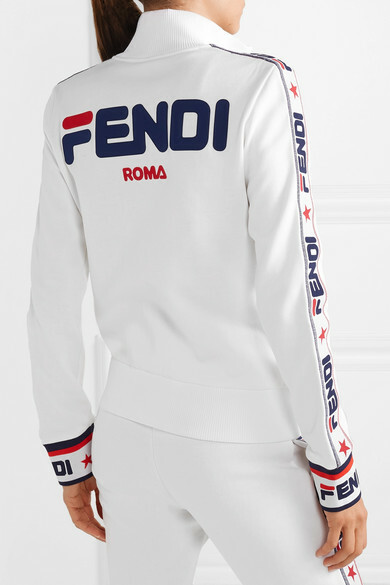 This track jacket is made from cotton-blend jersey embroidered with the now-iconic design down the sleeves and at the reverse. 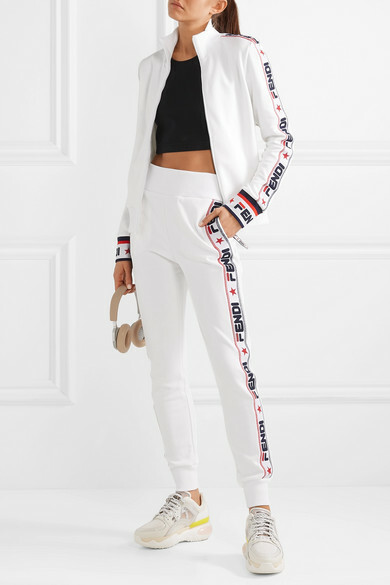 Wear it with the matching track pants. Shown here with: All Access Sports bra, Fendi Sneakers, Bang & Olufsen Headphones.